Individuals in this first stage may have some awareness of the negative consequences related to their addiction, however they tend to minimize or rationalize poor choices, unable to see just how detrimental these choices and behaviors have been. During this stage there is not a high level of desire to make any changes, and the individual may not be entirely conscious of the severity of his or her condition. As individuals move in to the second phase, the contemplation stage, they become more aware of the impact of their addictive behaviors, yet they may remain ambivalent about putting forth the effort to change. The individual may start to consider changing “someday” but are not quite ready to commit to true change. When the individual moves toward stage three, they gradually become aware that changing their behaviors outweigh the costs of not changing. At this point, behavioral change becomes a possibility and is given serious consideration. At this stage the individual begins to assume more responsibility for their choices, decisions, and behaviors. They may set specific intentions to change and begin to gather the necessary resources that will assist them in making important changes. Sometimes these resources take the form of therapeutic support, 12 step meetings or other sober based fellowships. At this point, with resources available, the individual feels prepared to make a commitment to change. In stage four, the individual begins to take action to initiate positive psychological, emotional, spiritual, and physical change by immersing themselves in their recovery process. This involves much more than abstinence from drugs and alcohol. It is an entire transformation of cognitions, behaviors, and one’s general approach to life’s challenges. During this stage, the individual continues to take action to create sustainable change in all areas of his or her life. Once an individual has reached the maintenance stage they have been able to sustain new and positive behavioral patterns. The individual often discovers that the more consistently they engage in new positive behaviors, the easier and more natural these behaviors become. At this point in the individual’s recovery, he or she is aware of triggers and risky situations that could lead to relapse. The core values that guide one’s recovery and relapse prevention strategies become an integrated part of the individual. At the final termination stage, the individual often presents as an entirely new person. They are able to reflect back on their past and old destructive behaviors while considering it unthinkable to return to that former lifestyle. At this stage, the individual knows that if they maintain their commitment to recovery, they can enjoy a new and fulfilling life. It is important to note that, although these Stages of Change provide a linear and orderly way in which to view the process of recovery, it is not a simple and straightforward path. Many individuals can move back and forth through the stages, become stuck, or even relapse. When this occurs, it can an opportunity to re-set and reinforce one’s sense of determination to change. 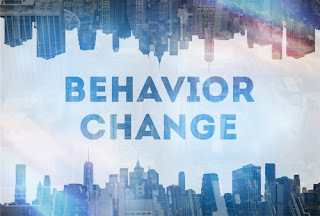 While it is important to understand patterns of behavior and the process by which one can make sustainable behavioral changes, it is equally as important to understand the practical application of this theoretical approach to change. How does one actually change patterns of behavior that have persisted for the majority of one’s lifetime? What happens when relapse occurs? How do I maintain positive behavioral change? Any individual considering significant behavioral changes, might start by making a list of behaviors that may constitute a pattern. It is important to begin by raising awareness and taking an honest look at the behaviors one has engaged in most of his or her life. While a necessary step, taking such an inventory can be uncomfortable and challenging, often requiring the support of others who have already been through the process. Behavioral modification approaches help to engage individuals in substance use treatment by providing incentives for progress and ongoing abstinence, modifying unhealthy beliefs and behaviors related to drug and/or alcohol use, and increasing the individual’s coping skills to manage stressful circumstances and environmental risks that may trigger intense cravings. Intensive cognitive and behavioral modification therapies go hand in hand. One of the most common and effective interventions in treating substance use disorders is cognitive-behavioral therapy (CBT). The cognitive aspect of this modality addresses maladaptive thoughts and core beliefs, the behavioral aspect focuses on unhealthy habits and actions. CBT helps individuals work through the thoughts, behaviors, and risky situations that contribute to their addiction and relapse risk potential. Behavioral modification can also help people deal with negative peer influence and interpersonal conflict--two challenges that can make it extremely hard for individuals to refrain from drug and/or alcohol use. Behavioral therapy can help people practice the coping and conflict resolution skills necessary to deal with situations that could place their sobriety and/or mental health at risk. Relapse prevention education and planning is another important part of behavioral modification therapy and behavioral change in substance use treatment. Individuals are taught to consider all types of situations that could provoke a relapse, and then the individual can practice in a therapeutic setting managing those situations. The individual is also assisted in the development and implementation of a comprehensive relapse prevention plan for when they are faced with overwhelming cravings to use, risky situations and/or people, difficult emotions, and/or any environmental cues that may heighten one’s potential for relapse. Behavior therapy and behavioral change as viewed through the stages of change can be very effective for modifying and changing unhealthy addictive behaviors and helping suffering individuals to generally improve their lives. If you or a loved one are interested in behavior modification therapy and lasting behavioral change, seek help and support through an initial consultation with a qualified professional, therapy, and support groups. These are powerful ways in which one can begin to make important and lasting changes, ultimately allowing for the achievement of desired goals and dreams.